The London Fairness Commission has published it’s Final Report, following the first inquiry into ‘fairness’ in the capital for 125 years. The release of the Final Report was marked by an event at the Deck of the National Theatre and included a ‘job interview’ for candidates for Mayor of London. 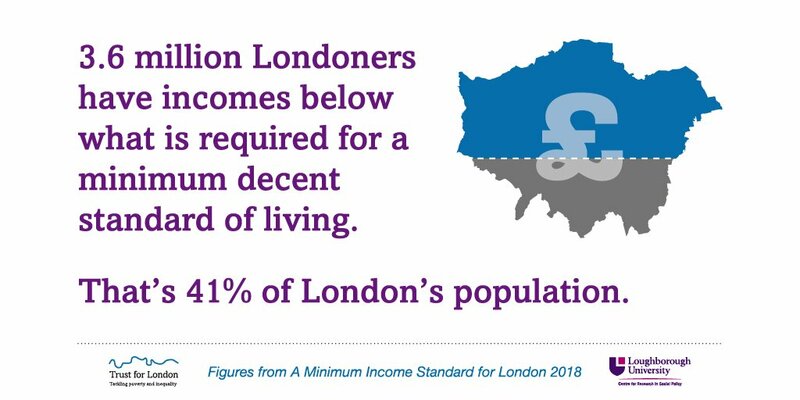 "London’s future success is at risk if we do not address the cost of living for modern day Londoners – costs, such as housing, transport and childcare, are higher in London. Londoners on average salaries spend nearly half their pay on rent, compared with a quarter for those on average salaries outside the Capital. While Londoners do earn more on average, that extra sum goes nowhere near bridging gap. There is now a danger that London will become a playground for the super-rich, a treadmill for the middle-classes and a workhouse for the poor."